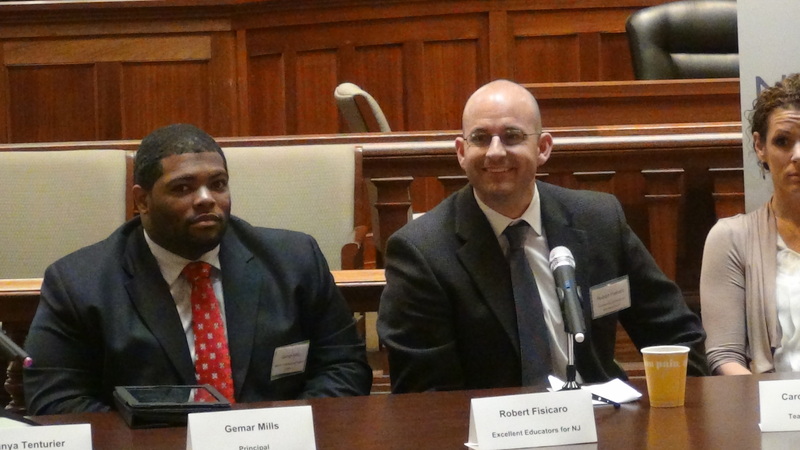 NJSpotlight panel on teacher evaluations, Jersey City. The second in a series of NJ Spotlight Roundtables with educators participating in New Jersey’s teacher evaluation pilot, the controversial framework for measuring teachers and principals in the state’s public schools. Teachers and administrators, along with officials of the state Department of Education, will discuss what they’ve learned so far, what issues they’ve encountered, what works, and what doesn’t. This program was recorded May 13, 2012 in Jersey City, NJ. You can watch the program in the players below, or purchase a DVD of the entire program in our store. Following up on the March 2012 Roundtable, “Previewing the New Teacher Evaluation,” this session focuses more on schools that have been required to join the pilot, largely due to low student performance. Nineteen schools from districts such as Jersey City, Newark, and Paterson have been mandated to revamp how teachers are evaluated, including the use of student performance as a key measure. The evaluation system that comes out of this program could affect how tenure is awarded and withheld, the way schools are structured, and what happens in the classroom. LNJ 2009 #2: Forum on the Future of New Jersey, Panel 1 – What do lieutenant governors do in other states?